I am not particularly fond of making masculine cards, usually because I find them boring and plain. 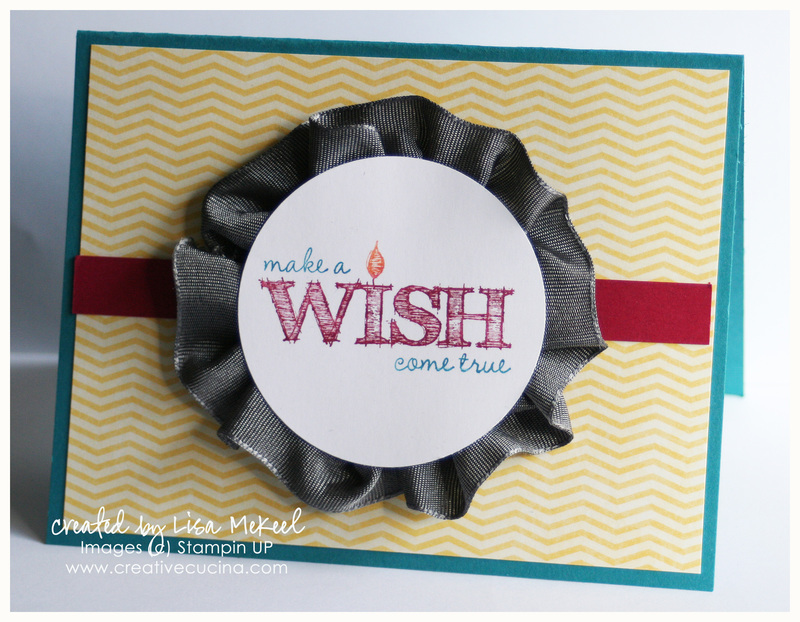 Men don’t like glitter or rhinestones or ribbon–things I use almost every time I make a card. For this project, I started out by picking colors most guys like, then layered the card stock in a striped pattern, reminiscent of a man’s sweater. The strips are Crushed Curry, Chocolate Chip, and Tempting Turquoise on a Crumb Cake base. The stamps are from Bring on the Cake. 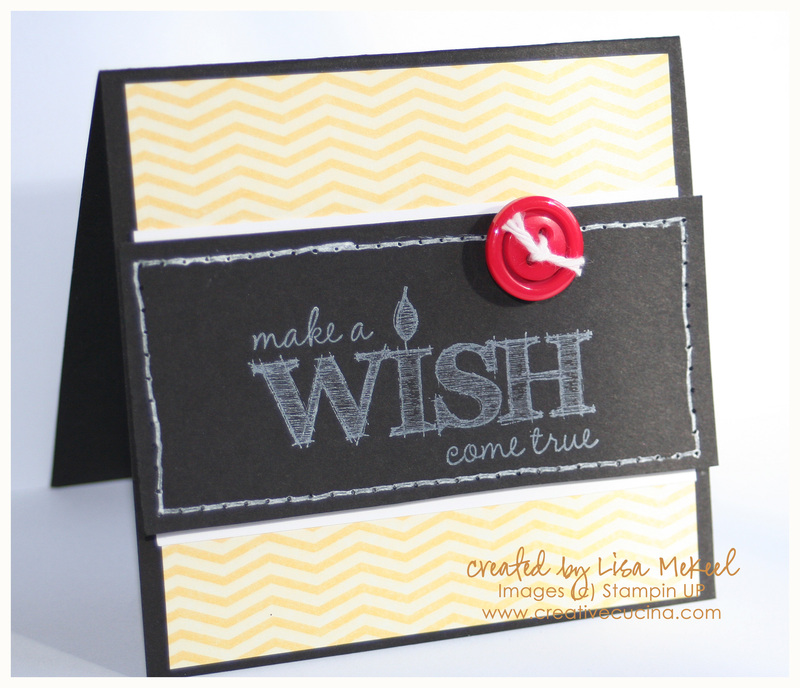 I stamped the “Wish Big” in chocolate chip ink on Very Vanilla card stock and cut it out with scissors. 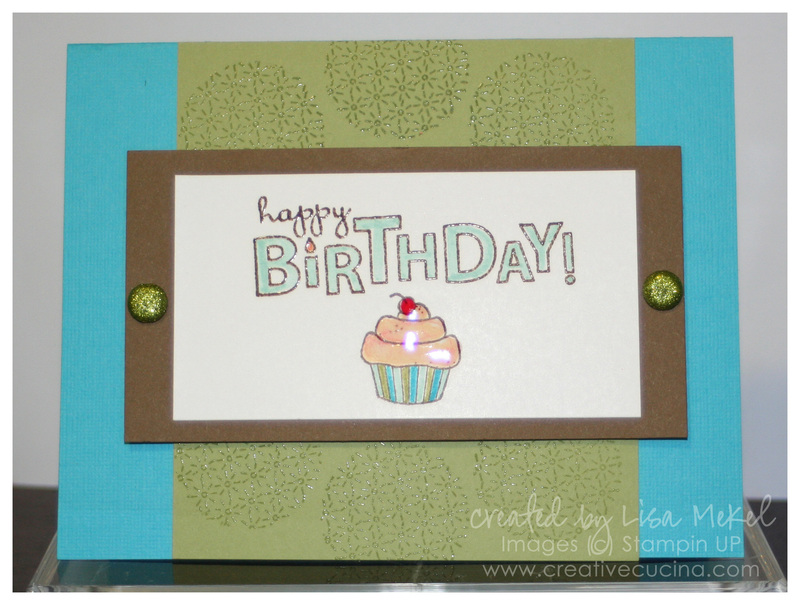 Then, I stamped the “Happy Birthday” in Temping Turquoise ink on Very Vanilla, swiping the edges in So Saffron ink. 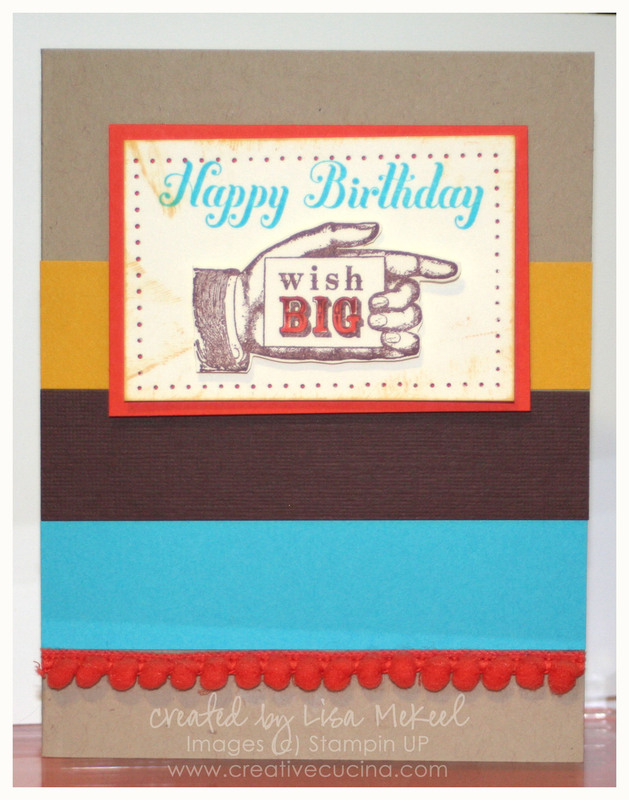 I attached the hand to the card stock with a stampin dimensional and colored in the words with Tangerine Tango marker. I matted the Very Vanilla onto Tangerine Tango card stock after paper piercing. Along the bottom edge, I added Tangerine Tango Pom Pom Trim. Now, I’ll admit, it’s not very manly, but I had to put my own personal touch on the card somewhere!